Described as a “complete pianist” with “uncommon panache, fluidity and spontaneity” and “hypnotically sensitive playing”, Daniel Tong’s recitals and concerto appearances are always memorable and illuminating. Earlier this year Daniel performed Schubert’s last sonata at St John’s Smith Square, appeared as soloist in Beethoven’s Emperor Concerto at St Martin-in-the-Fields and launched Beethoven Unravelled, a series of lectures and recitals on Beethoven’s piano sonatas with broadcaster Richard Wigmore. Daniel has previously given solo recitals for Cheltenham Festival and the Park Lane Group at the South Bank, and has performed concertos by Beethoven, Mozart, Rachmaninov and Gershwin. As a chamber musician, Daniel performs regularly with many of the UK’s leading instrumentalists. He founded The London Bridge Ensemble in 2003 and the group is now firmly established as one of Britain’s most exciting and brilliant chamber groups. In the spring of 2008 they released a CD of works by Frank Bridge on the Dutton label to critical acclaim, including glowing reviews and recommendations by both Gramophone and International Record Review. Daniel’s recording of Frank Bridge’s 3 Sketches has just been released as part of the London Bridge Ensemble’s second disc for Dutton Epoch. 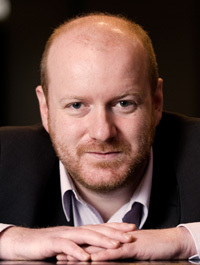 Daniel founded and directs the Wye Valley Chamber Music Festival, now in its eleventh year, and is Co-Artistic Director of the Winchester Chamber Music Festival. An astonishingly successful occasion, in which Jennifer Pike was partnered by Daniel Tong.